Amaze your guests with these delicious party bites. 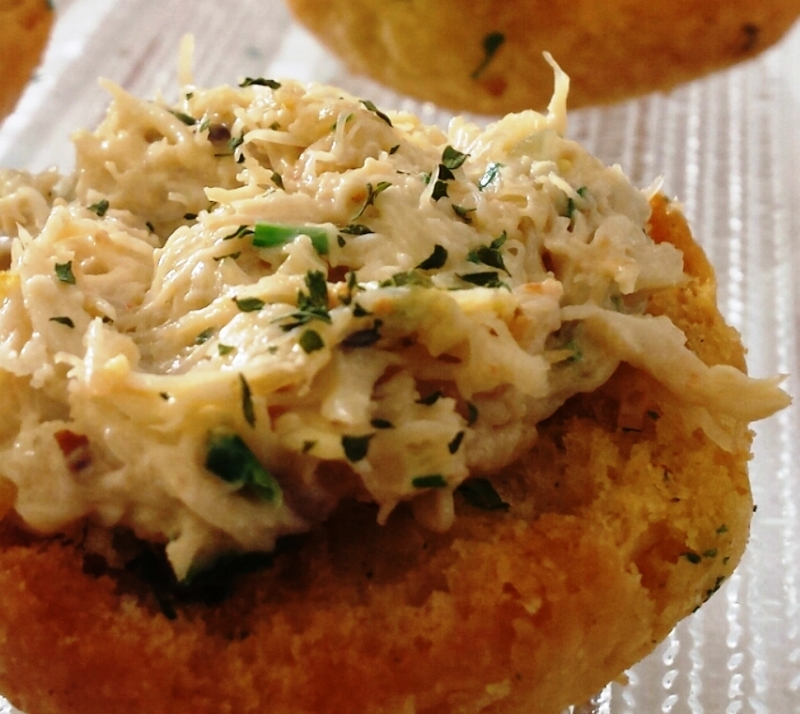 Easy and wonderful crab canapés made and served on crusty herb bread. This is a very simple, very tasty snack or appetizer. They keep well in the fridge, so you can make them in advance and use as needed. They are great for a casual pre-drink appetiser or equally fitting for elegant cocktail parties. In a pan on low heat add the olive oil followed by the chopped shallots. Cook till the shallots are soft then add the crabmeat, cook for 2-3 minutes still on low heat. Add the fresh cream simmer for another 2 minutes. Season with salt and a good pinch of pepper. Add the chopped fresh herbs, stir well. Remove from the heat and set aside to cool down. Finish off with a squeeze of lemon. Serve on crusty herb bread slices. Brinda’s Note: You can substitute crabmeat with smoked salmon or lobster meat. The crabmeat can be made and kept in the freezer take out defrost and use when needed. Really nice, can be used a snacks in tartelettes! !